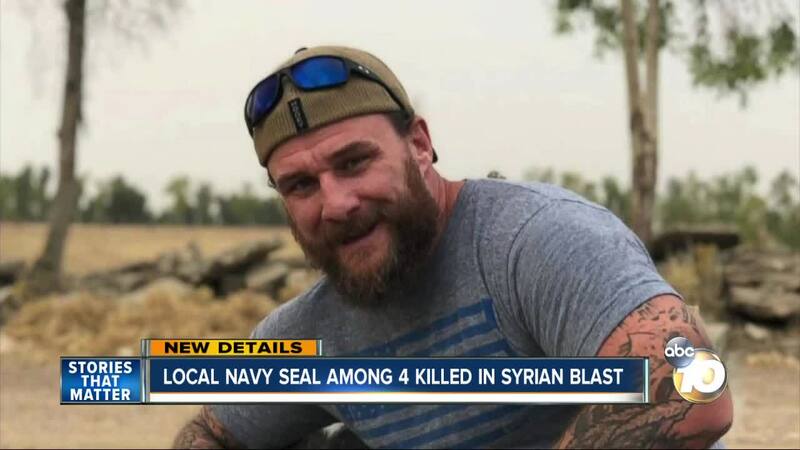 CORONADO, Calif. (KGTV) - A 10News source confirmed that one of the four Americans killed by a suicide bomber in Syria once called San Diego home. Scott Wirtz, 42, was an operations support specialist assigned to the Defense Intelligence Agency. According to a source, he was a former Navy Seal that trained in Coronado. He also lived and worked in San Diego for several years. The Pentagon also identified the other victims as 37-year-old Jonathan Farmer, an Army Green Beret, and 35-year-old Shannon Kent, a Navy Chief Cryptologic Technician. The four American has been identified as a U.S. Civilian working as a contractor but has yet to be named. ISIS has claimed responsibility for the attack but has not given any evidence to the claim.